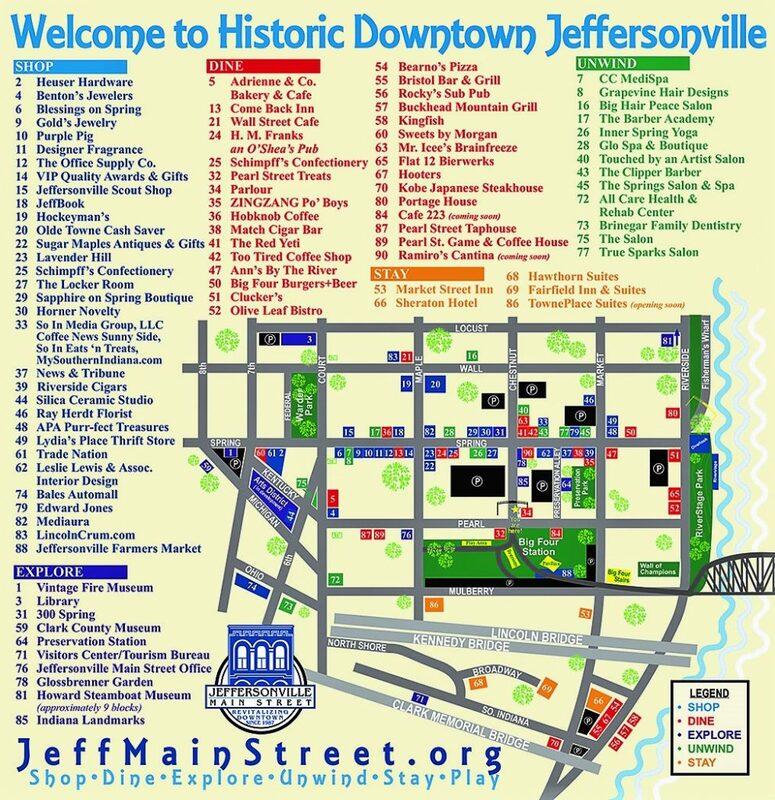 If you haven’t been Downtown, you haven’t been to Jeffersonville! From Chocolate Strolls and Wine Walks to Concerts and Trolley Hops, you don't want to miss these Signature Events! 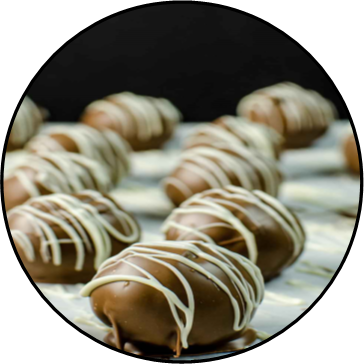 Get tickets for the Chocolate Lovers Stroll. Chocolate tastings, live music, and downtown shops Friday, May 10. 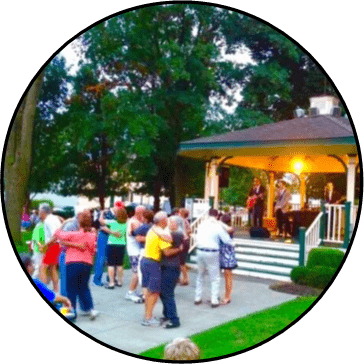 Enjoy free concerts for all ages at Sonny Brewster Bandstand in Warder Park every Friday. Celebrating 29th season! Downtown Jeffersonville features shops and restaurants, infused with local heritage that can't be found anywhere else. 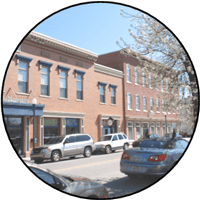 Help us win $25,000 in America's Main Street Contest by clicking above and voting. You can vote everyday! 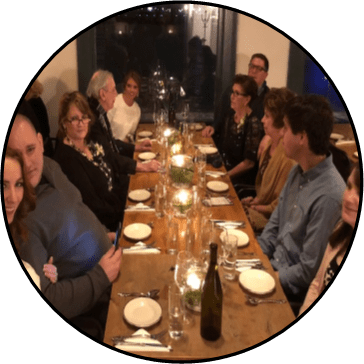 Join us April 11 for an incredible dining experience at some of Downtown Jeffersonville's best restaurants. Check out these wonderful photo murals located throughout Downtown Jeffersonville! Pick up a brochure to follow the trail. The Pearl Street Infill Revitalization Project is renewing a once dilapidated block of Pearl Street in Historic Downtown Jeffersonville. The number of people living in Downtown Jeffersonville is growing, and a school is needed if we want families to call downtown home. 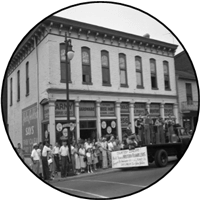 Jeffersonville Main Street Inc. is an accredited nonprofit organization working to continue the revitalization of the commercial and residential districts of downtown Jeffersonville, Indiana. 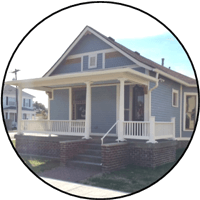 We use a four-point approach that includes economic vitality, design, promotion, and organization. 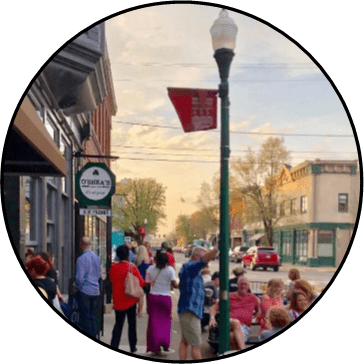 Find out what’s happening in Downtown Jeffersonville by visiting our quality businesses and enjoying our concerts, festivals, farmers market, and other great events!